The second weekend of action in this years Henderson Insurance LMP3 Cup Championship saw the Douglas Motorsport team achieve their first podium of the series. After finishing 4th in the first race of the weekend, the second race of the weekend saw the duo of Mike Newbould and Thomas Randle both make up positions from their starting position of last on the grid. 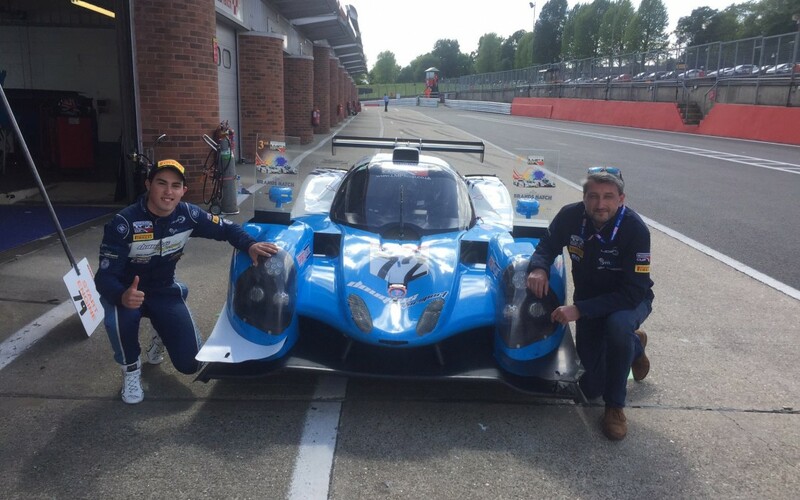 Despite a 1 second stop/go penalty, Randle and Newbould brought the Ligier home in 3rd place, giving the team their first podium in LMP3 and Mike Newbould his first ever podium which made it extra special. Thomas Randle was the fastest in race 2 of the weekend, so let’s hope for more of the same at Spa in June. Spa was the location for Thomas Randle’s epic British F3 victory for Douglas Motorsport when he came from 9th position to finish in 1st, a win which included a now famous ‘bump draft’ with teammate Enaam Ahmed.